Results from a clinical study published in Clinical Obstetrics, Gynecology and Reproductive Medicine highlight a significant medication adherence improvement in patients using a novel reminder solution, consisting of a pill tracker and an app. 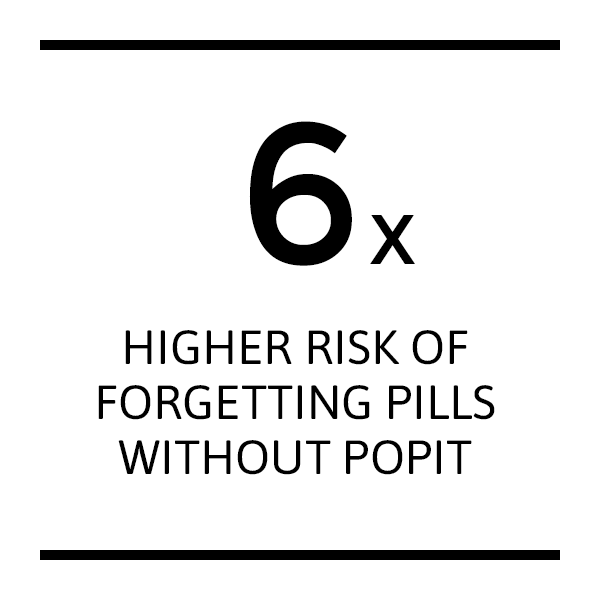 The clinical pilot study, carried out by Kuopio University Hospital (KUH) in Finland in collaboration with Popit, a medical technology startup, concluded that the medication reminder solution was able to reduce missed pills by over 80% and significantly improve the consistency related to pill consumption timing. 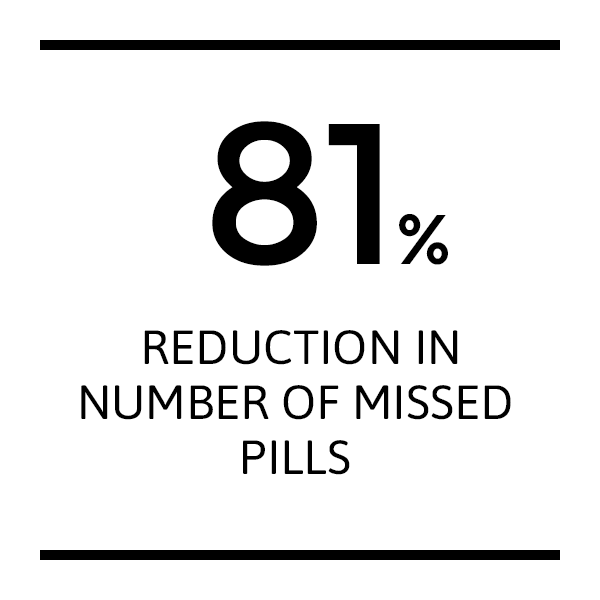 The solution was able to reduce missed pills by over 80% and significantly improve the consistency related to pill consumption timing. The results point to a major adherence improvement compared to other methods tried in research, such as regular reminder apps, SMSs or automated reminder calls. By effectively improving how patients take medications, it is possible to improve treatment outcomes, support recovery and reduce the steadily increasing healthcare costs. In the study 24 women using daily birth control pills were observed during a two-month period. They were given a small device developed by Popit that independently tracked pill consumption when clipped on to the pill pack. The device together with the accompanying app automatically tracked pill-taking behavior without patient interaction. Reminder fatigue often renders smartphone alarms and pill reminder apps ineffective. 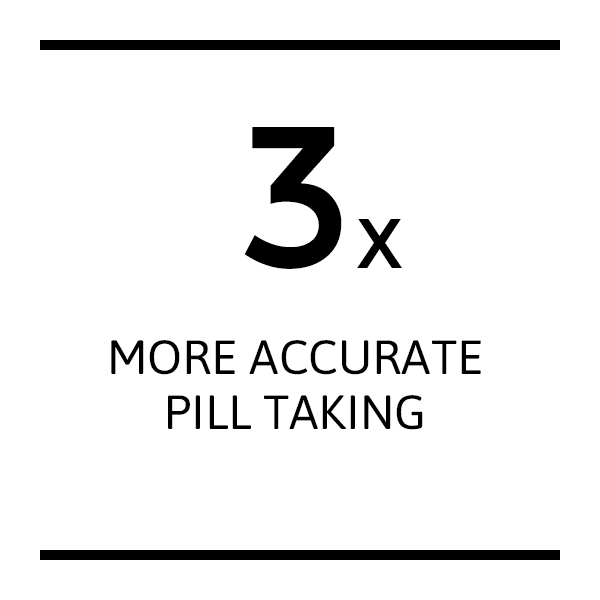 If a pill was missed, the app would sound off a reminder. If a pill was taken on time, there was no reminder. The aim by suppressing notifications when everything was going well was to reduce reminder fatigue, a phenomenon that often renders smartphone alarms and pill reminder apps ineffective. “It is very encouraging to see how a novel take on an old problem can have such a big impact. If the adherence improvement we’ve now seen would be deployed on a bigger scale, it would have a major impact on treatment outcomes worldwide”, says MD Janne Sahlman, who headed the study. Popit is supporting two new research studies in the fields of cardiology and diabetes to further investigate if the improvements can be expanded to other types of medications as well.